Lynn Clopton, Director of Student Services, Finance and Budget at Sam Houston State University, speaks with Bookstore Manager Holly Tickner in the Sam Houston State University Bookstore. When Barnes & Noble College launched Project 770 at the beginning of this year, the initiative was designed to be more than just a research opportunity. While providing vital information about the impact of the bookstore at each of the company’s over 770 stores, the data would be used as a conversation starter and method of developing stronger relationships on campus, providing more effective support for both students and schools. At the front line of student interactions, campus store managers anticipated some of the study’s top-level findings: students consistently ranked discounts, free promotions and more store events at the top of their bookstore wish lists. “Its value to us was confirmation of some of the things on campus that we were already aware of,” says Jessica Miller, Manager at the Muskingum University Bookstore. A key finding at her campus was the influence of the school’s faculty and the belief that their bookstore wasn’t competitive on pricing. “It was an opportunity for us to address one of the more troubling statistics we found from our Project 770 report: 65 percent of our students just don’t get their textbooks, period,” she says. Miller believes that faculty disintermediation and insufficient sourcing information contributed to students being less prepared for class and led her to present the survey findings to the Dean of Faculty. 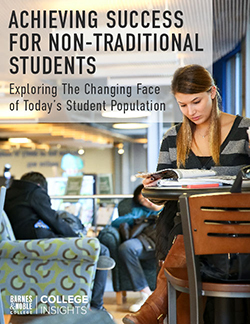 “It was an opportunity for me to inform him about what was happening on our campus and make it easier for faculty to recommend us, their campus bookstore, as their best resource,” she explains. As a result of that conversation, the school now shares its faculty’s syllabi with the bookstore, enabling Miller and her team to offer approved course materials sooner and identify departments or professors who have not yet submitted their textbook adoptions. Another priority for Clopton is spreading awareness to the school’s population of first-generation students, who account for half of the school’s student body. 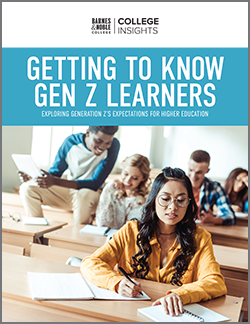 “We have so many first-generation students, and typically there is going to be a greater level of parental involvement, so it’s even more important to build awareness of all the pricing options we provide,” she explains. University of North Carolina at Charlotte Bookstore Manager Cheryl Griffith-Kline. Together with increased signage and merchandising in the bookstore, that outreach is seeing results. Griffith-Kline reports more students used the bookstore’s cost-saving programs for this year’s back-to-school.